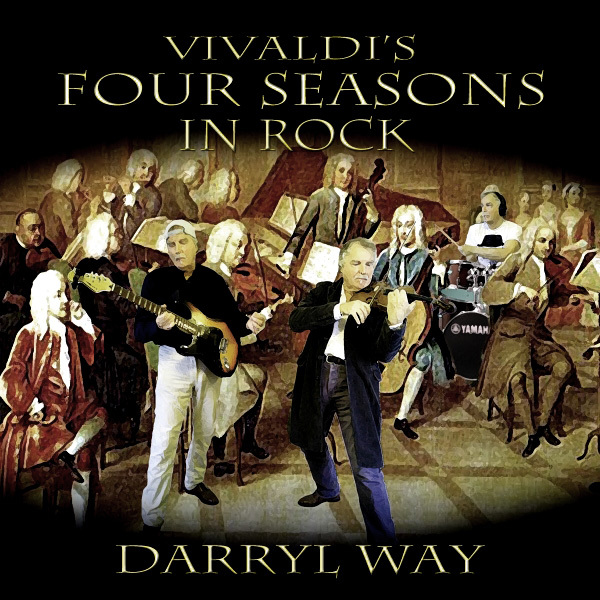 RETRO KIMMER'S BLOG: VIOLINIST DARRYL WAY: ROCK VERSION OF VIVALDI'S FOUR SEASONS OUT NOW! VIOLINIST DARRYL WAY: ROCK VERSION OF VIVALDI'S FOUR SEASONS OUT NOW! Curved Air Founding Member & Legendary Violinist Darryl Way to Release First Ever Rock Version of Vivaldi's Four Seasons – Out Now! Almost 50 years after the creation of his classic rock anthem Vivaldi, Curved Air's trail blazing violinist Darryl Way, has arranged and recorded the whole of Vivaldi's masterpiece The Four Seasons and given it the same 'rock' treatment. The album is entitled Vivaldi's Four Seasons in Rock and is released on the 4th of May 2018 via Cherry Red Records.